The FreeMotion LIVEAXIS™ Shoulder targets muscles in the shoulders, arms and chest. 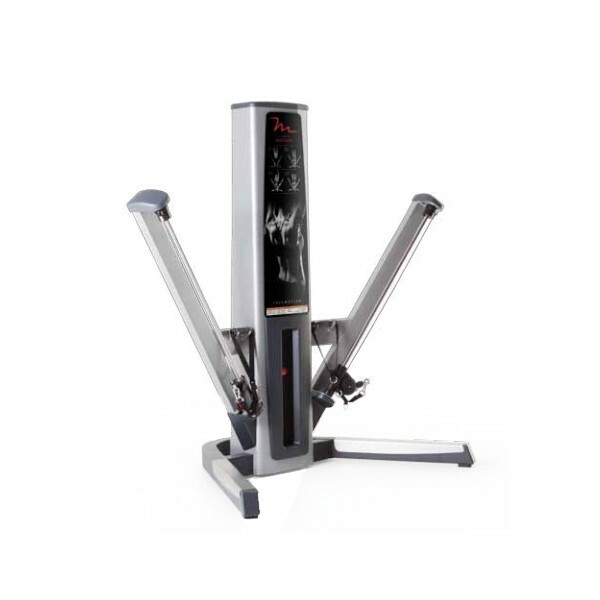 Train for sport-specific movements like boxing and swimming on one machine. Live-sliding pulleys follow your path of movement–offering progressive resistance and optimum muscle activation throughout your entire exercise. The shoulder is one of the most injury prone joints. LIVEAXIS™ not only strengthens the major muscles of the shoulder but it targets smaller supporting muscles to encourage a stronger, healthier joint. And because the machine places you in a standing position, it engages your core and stabilizer muscles to improve overall strength and balance. Extensive cable travel allows for a full exercise flexion of 37" per arm (94 cm).